Hon. 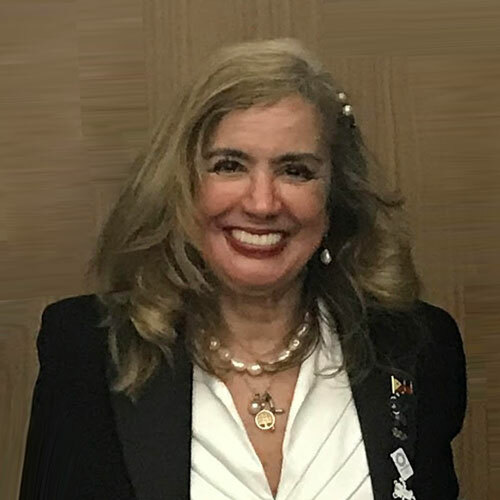 Cynthia Carrion Norton is the President & CEO of Corregidor Foundation, Inc. and formerly President and Chief Operating Officer of the Philippine Tourism Promotions Board. From 2003 to 2010, she was appointed Undersecretary of the Philippine Department of Tourism for Sports and Wellness while concurrently serving as the Executive Director of the Philippine Commission on Sports Scuba Diving for several years. At present, she is Commissioner of the Philippine Sports Commission; Chef De Mission to 2017 SEA Games held in Kuala Lumpur; President of the Gymnastics Association of the Philippines; Board Member of the Philippine Olympic Committee; Vice President for Asian Gymnastics Union; and Executive Committee Member of the Women in Gymnastics Commission under the Federation International de Gymnastique. 2008: “Ambassador of the Sea” by the OceanEnvironment for her dedication and leadership in promoting the conservation and protection of marine resources in the Philippines. 2003: “Best in Women in Sports” for the whole of Asia continent Awarded by the International Olympic Committee in Lausanne, Switzerland.